Considering the matchmaking industry has doubled in worth since 2006, it’s not surprising that new matchmakers are flooding the $500,000 a year field (1). Forbes declared matchmaking one of the fastest growing international franchises, and there are over 2,000 matchmakers in the US alone (2). But all statistics aside, wouldn’t you think helping someone find love has to be one of the most rewarding jobs in the world? As an ex-matchmaker with over ten years of experience in the industry, I can say with authority that yes, it definitely is. Because it’s such a great job, there are a lot of people who decide they want to do it too – and start up a website the very next day. But there’s a problem – if you click on their webpage, you’d never know they started business 24 hours ago. Matchmaking is an unregulated industry that’s flooded with unscrupulous agencies and people just looking to make a quick buck. 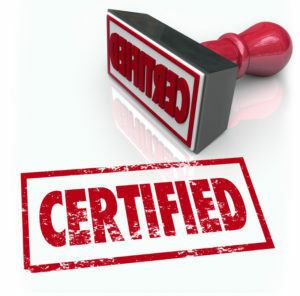 There’s no special licensing needed, no official certification process – literally ANYONE can do it. But for one to be a GOOD matchmaker, it takes something “special”. Without the right abilities and skillset, it’s nothing more than snake oil sales. You need friends. A LOT of friends. Seriously, if you’re not a people person, don’t even bother trying. In order to be a good matchmaker, you have to be able to talk to anyone. Whether it’s getting to know your clients or recruiting people for your pool of eligible matches, if you’re the type that doesn’t make friends easily, this is not the career for you. You need to channel your inner therapist. During the whole process, you’ll learn why your client’s past relationships failed, hear how he feels about his exes, and convince him that no matter how he feels right now, there is a good match out there just waiting to meet him. And part of your job is getting him to accept that not only is he worthy of true love, you’re going to help him find it. You need to be an expert at organization. Not only does each of your clients need his own file (that you have to keep constantly updated, by the way), but you also need a database of potential dating candidates, a calendar to keep dates straight, a marketing strategy, a business plan, a bookkeeper … you get the idea. It’s work. A lot of work. You’ll need time to sell yourself. After all, you need two types of clients – the ones who are paying you to match them, and the ones who are willing to get matched. That’s two groups of people you have to convince to work with you, and it’s all about networking. You can always join a large agency. That’s a tempting thought – after all, working with successful matchmakers at a big company is a great way to pick up some great techniques for finding people love, right? Not necessarily. Unfortunately most of the companies that actively recruit new matchmakers are more interested in your SALES skills. They’re interested in people that can close the deal, get high numbers, and make them $$$. Not everyone has the discerning eye and intuition needed to look at Person A, then look at Person B, and instantly know will these people be attracted to each other? But a good matchmaker has that ability, and they’re worth their weight in gold. And if you’re reading this because you’re looking to hire a good matchmaker, but are worried “just anyone” can do it – let me assure you that there’s good ones out there. But I should also warn you there’s a lot of fly by night, sketchy ones as well – and sometimes it’s hard to tell the difference. And if you figure it out after you’ve signed a contract…well, that’s bad. You don’t want that. But I can help you learn how to choose a good matchmaker. After all – I know *a little* something about the industry, after spending ten years helping clients find love. If you’re in the market to hire a matchmaker – or even you just want to learn how to be a better one someday – you should seriously check out my FREE Special Report. It’s filled with vital tips, industry secrets, and all the information you need to get on the fast track to finding that special someone. And once you read it, you’ll realize I’m truly invested in helping you navigate these murky water and choose the right path for you. My mission is to maximize your chances of finding love, and if that’s your objective… then what are you waiting for?